Download the interview here or stream it below! Chad covered the AT&T Pebble Beach Chevron charity shootout which pitted the Giants against the 49ers. We were able to catch up with Giants manager Bruce Bochy to talk about his golf game, the offseason acquisitions, and how his weight fluctuates like Pablo Sandoval’s. 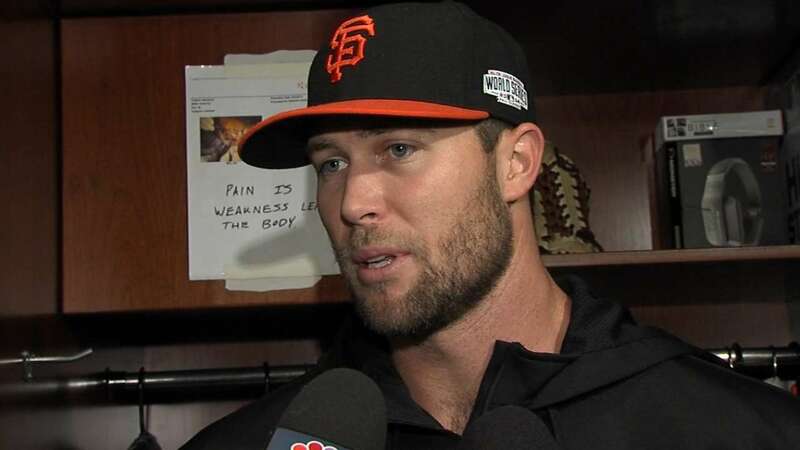 Chad visited the Giants clubhouse and interviewed reliever Hunter Strickland before the Giants beat the Nationals 8-5. Hunter discusses his lack of love for an automated strike zone, the confidence it takes to pitch in the majors, touts the camaraderie of the clubhouse, and being a southern boy, his favorite food is fried chicken, because of course you should know that. Be sure to check out Bonusode 93.1 that was recorded after the game at Zeke’s! Pre-game interviews: Pence, Panda, Affeldt. 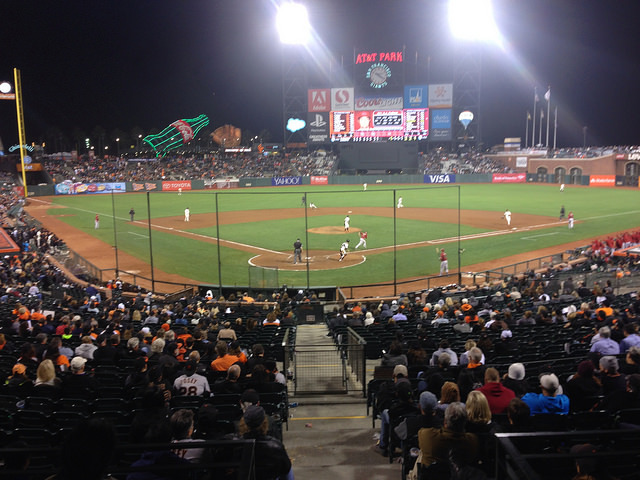 TortureCast had clubhouse access for the first time before tonight’s game against the Arizona Diamondbacks. Chad was able to interview Pablo Sandoval, Hunter Pence and Jeremy Affeldt. Before the Brewers opened up a three game series with the Giants, Chad was able to sit down with Will Clark for a brief interview. Parallels between the ’87 and ’89 playoff teams were made with the ’10 and ’12 teams, he talks about his first at bat against Nolan Ryan, and we discuss the new wildcard format. After the Giants whalloped the Brewers tonight, we recorded our traditional “bonusode” at Zeke’s. The whiskey always tastes better after a win. You can listen to the bonusode here. Don’t forget to follow us on Twitter @TortureCast or like us on Facebook. 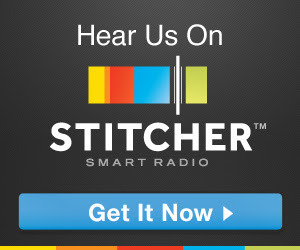 We stream our podcast live every Monday at 9:30 PM Pacific when you can call in at 415-799-SFG1. Do You Like to Cuss? Live Call In Show: Monday, August 25, 9:30 pm. Do you want to call KNBR and give them an Andrew Dice Clay-laced rant about the Giants, but you know you can’t? Bring any foul-mouthed language about the orange and black to the internet airwaves this coming Monday, August 25 around 9:30 pm! Now, we won’t let you say just anything on our podcast. You can’t make fun of our mothers or perhaps my boiler, but almost anything about the Giants is fair game. Besides, it might give us some choice sound bytes for our sound board. Tune in on Monday around 9:30 pm PDT on YouTube Live! If you want to call in, you can do so from any phone. Just dial 415-799-SFG1 and we’re almost certain to get your profanity-laced rants on air. If you can’t make the show, you can leave a voicemail at 415-799-SFG1, or email an mp3 to mail@torturecast.com. This is an experiment, who knows what will happen? Heck, we’ll be broadcasting during the last third of the Giants/Rockies game. We might even go into Jon Miller mode. 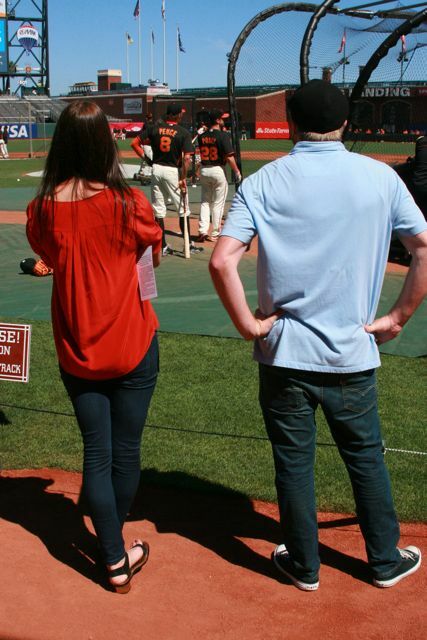 Pass around this link to all of your Giants fans who may or may not be friends. Certainly don’t tell your Dodger friends. They can go rot in hell with Puig.